Adobo Magazine - Philippine distributor of magazines, books, journals, etc. 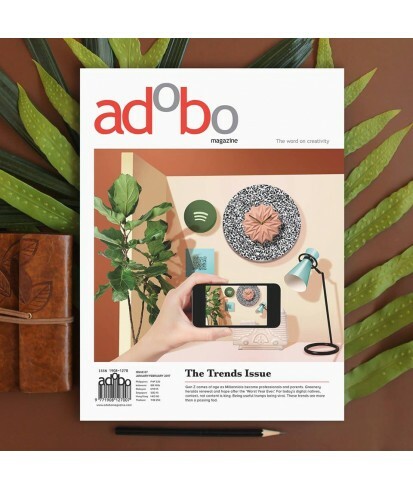 Adobo Magazine is the leader publication for the advertising and marketing community. It’s the best resource for the latest news on advertising campaigns, current trends, industry issues, insights, the media landscape, consumer “hot buttons” and more. Adobo Magazine profiles the most influential ad people and showcase creative talents and their work. Adobo Magazine share relevant case studies and feature stories that uplift and inspire both the professional and the student communities.